What will a LIMA engagement look like for your firm? Embarking on an IT project doesn’t have to be complex or daunting. To prove it we’ve put together a comprehensive guide that details our approach to IT projects in the legal sector, complete with details on how we helped JMW Solicitors achieve more efficient case management and business continuity through implementing the right technology. We have grown substantially as a business and our IT requirements have changed resulting in a complete refresh and scaling up of both resource and technical capability. We conducted a lengthy tender process in which LIMA and two other parties were short listed. LIMA were selected based on experience, professionalism and our considered opinion they could actually deliver the project. LIMA conducted an in depth investigation of the old system to understand where the stress points were and then helped to architect a system that was fit for purpose now and also in five years’ time and beyond. 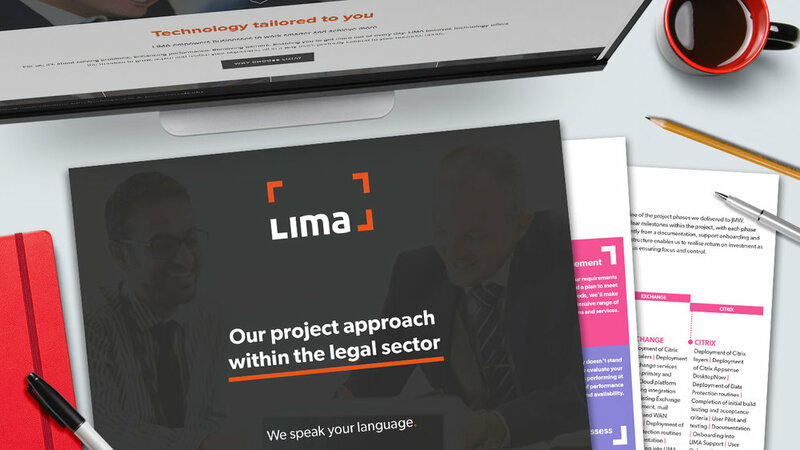 LIMA has extensive experience working with clients in the legal sector, including the likes of Brabners LLP and JMW Solicitors, to implement tailored solutions to improve operational efficiency, system performance and ultimately increased productivity. Our capabilities cover the full IT portfolio: data centre, cloud and managed service. Our technology accreditations with vendor partners including NetApp, Cisco and VMware are among the best in the industry enabling us to design, deploy and support the very best solutions and negotiate the best pricing available.